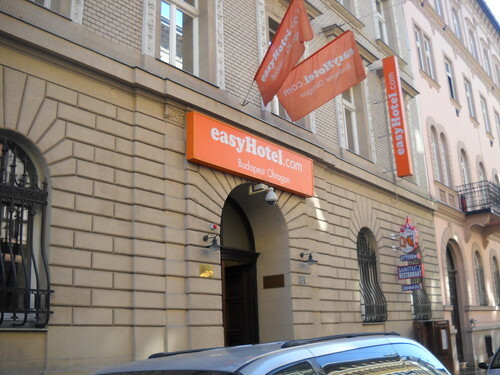 This downstairs place was right next door to our easyHotel in Budapest. From the street, Dimitrisz appeared to be a bar, but was actually more of a restaurant. When I ventured in and asked for a beer, they sat me in a different section of the place and served me a bottle of Soproni, a mainstream beer brewed by Heineken Hungaria. 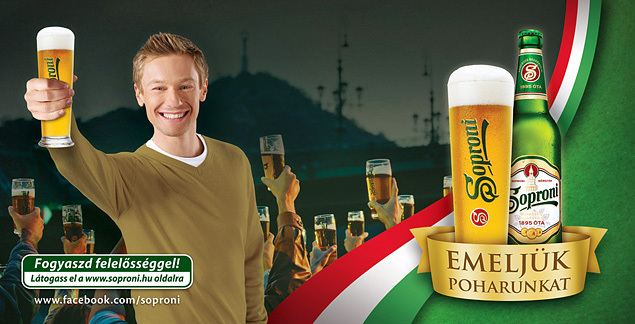 The coaster said Soproni: Emeljük Poharunkat, which I've since learned means Raise Your Glass in Hungarian.